Three large parking lots within 20 yards. Parking Lot next to building is privately owned and The Y.O. Ranch Steakhouse is not affiliated with the lot. Please pay at the kiosk in the middle of the lot, do not pay a personal attendant . Also street parking with meters may be available. We have recently expanded and renovated the three private dining rooms that can handle parties from 20-200. Y.O. Ranch Steakhouse is proud to announce that we are now offering catering services through Cohost in 2019! Cohost is a catering service that partners up with other restaurants in the Dallas area. They provide the actual catering services that include dishes, silverware, servers and bartenders. Essentially, whatever a customer needs for their event, Cohost can provide within reason. Where does your favorite downtown steakhouse come in? 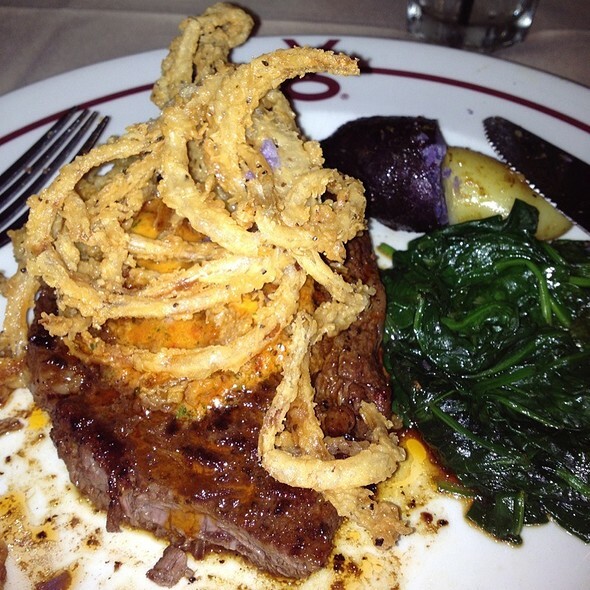 Essentially, we provide the food, partner up with them, and allow you to enjoy the best steak in Dallas. When guests want to inquire about catering, they can visit their website and search based on category or cuisine. From there, customers can focus on their budget and be directed in the right direction of what restaurant will be the best fit for their gathering. Once you’ve picked our restaurant, we then receive the order form with the date, time and number of people for the event, and ensure that the food is ready. The highest quality Texas prime beef is the main focus at The Y.O. Ranch Steakhouse but its legendary for its extensive wild game selection, and many of those same animals roam freely over our 48,000 acre ranch and namesake near Kerrville, Texas. For those in the mood to try something out of the ordinary, The Y.O. offers venison, elk, wild boar, game birds, and our signature dish, the Buffalo Filet Mignon. Most of the beef at The Y.O. is local Texas Black Angus beef and hand cut in house. We employ a method very similar to the one the ranch hands have been using for more than 125 years. Prime Cowboy Bone in Ribeye 20-oz. 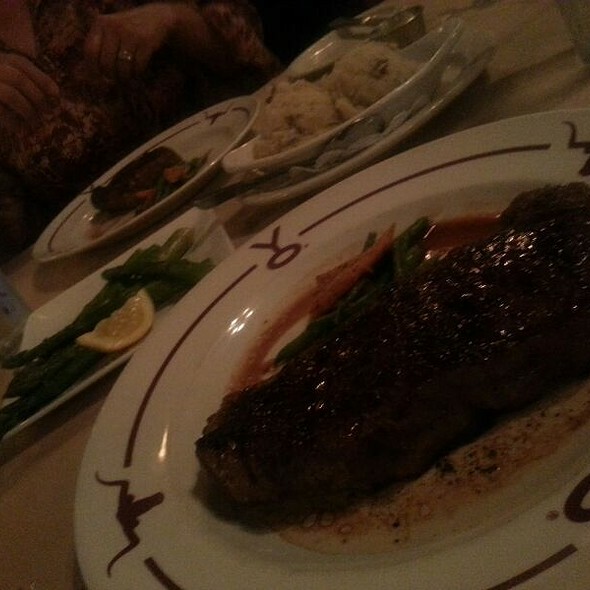 Prime New York Strip 14-oz. Bone-In New York Strip 16-oz. We will serve our special Easter menu during lunch. Our regular lunch menu will not be served this day. Easter menu is $45.00 per person before taxes and gratuity. Kids 10 and under may order off the kids menu. Please check our website for the special menu options. Experience could have been better. Sides, appetizers and drinks were good. Steaks were a bit overdone but seasoned well. Wait staff was good as well. Food was amazing!! Went here on a date night with my husband last night. The sea bass was so tender and melted in your mouth and was seasoned perfectly! The filet mignon was absolute perfection with a little char on the outside. AMAZING! Highly recommend the Mac n cheese and margarita! Great ambiance, great service, and highly recommend YO! Outstanding!! From the very first encounter with the Hostesses, to the Server (Neal), to the food and the beverages to the extremely nice touch of the anniversary treat the kitchen made for our special night, we had a wonderful evening! It was our 19th wedding anniversary and Y.O. Ranch went above and beyond to make our event memorable. Amazing food!!! I recommend trying the Elk. Service was great across the board. Will go back! The whole experience was exceptional. Our waiter was pleasant and very competent. The food was exactly as requested. I could not ask for more. The server snubbed his nose at my grandfathers request for a well-done steak. Understandable if they discussed in the kitchen but to snub in front of our family was pretty poor customer service. Food was decent for the price and the Mac and cheese was pretty gross. We went mid afternoon on a Wednesday. It was very quiet as we were in between lunch and dinner. We were seated immediately and our drink order was taken right away. We were brought fresh warm bread with butter and were told what the special was We had already decided to order from The Executive Lunch menu. My wife ordered the bone-in filet with a Caesar salad. Her meal came with whipped potatoes and mixed vegetables. I ordered the cowboy rib-eye with sweet corn bisque. I also got whipped potatoes, but substituted the Creamy Goat Cheese Tabasco Grits (slight up-charge) for the mixed veggies. 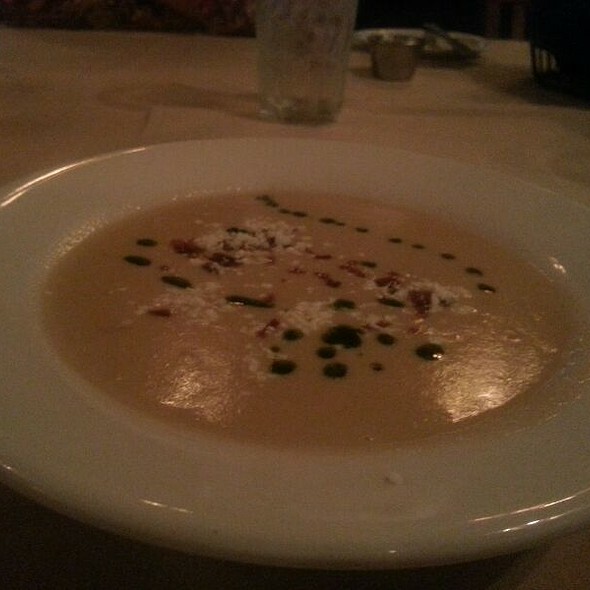 The salad and bisque were very good. Our steaks were warm and cooked perfectly to order. Both were delicious. The potatoes and mixed veggies were good and the grits outstanding. 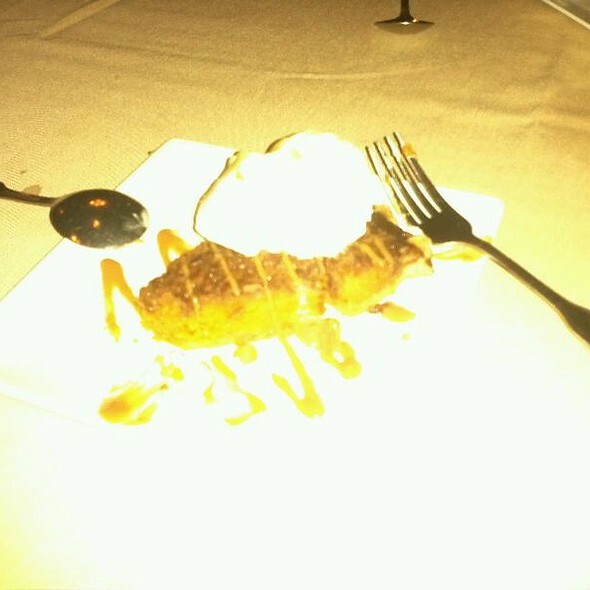 We ordered pecan pie and bread pudding to go and they were both very good. I was very happy that we chose to dine here. The service was great and the food excellent. The fact that salads soups and sides were included, made this a very good value. Very good experience, but a note to the wise, get there early and make a reservation! The YO Ranch Steakhouse did not disappoint. Tomas was an excellent wine and food guide for us. We love wild game and this meal was prepared perfectly and so delicious. Thank you for making our anniversary date so memorable! Server was amazing and service was excellent. 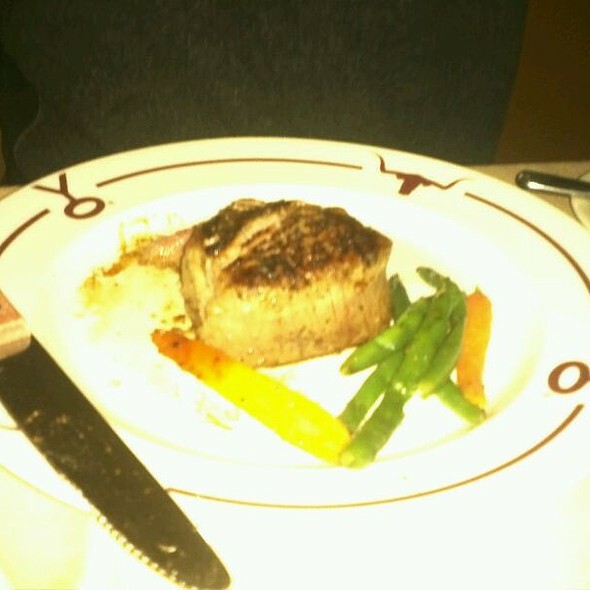 The cost of the main dishes, especially the steaks was pretty high for the quality of the meat. Very nice service., though. The bone-in filet melted in our mouths. Our waiter was very helpful! 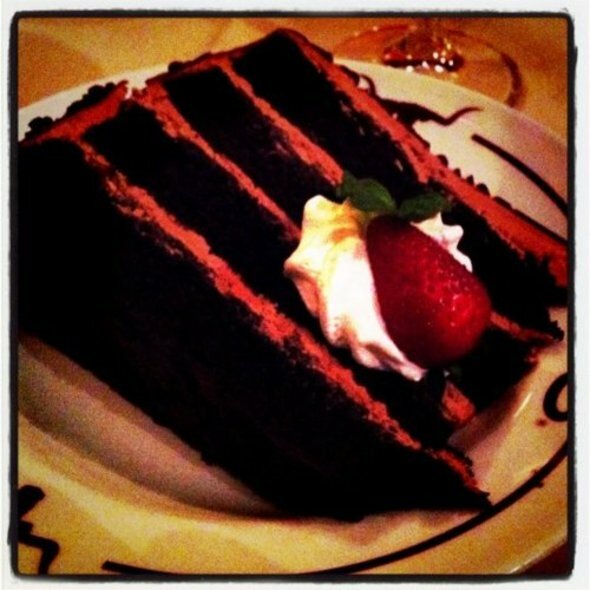 Thank you for great anniversary lunch, everything was great from service, quality of food, and loved the anniversary dessert. So glad we came here! Date was a little nervous she never been there. She a little ghetto so it’s okay. We had a great time. Great place to entertain cluents. The place and the service are great. The meat is not better than at other restaurants - just more expensive. The “medium” steak was more like “well done”. Everything was amazing! We had the venison appetizer and it was amazing. So was the salad. Along with our steaks, we ordered the Gouda Mac and cheese and the Brussels sprouts. We will be going back when we’re back in Dallas. And the service was exceptional! Great restaurant to carry a conversation with your party. Food was excellent and service was spot on! Unique Dallas Steakhouse. Interior was fun with animals all around. People ultra friendly. Location is kind of in a sketchy area [we walked from AT&T Tower]. Most of the food was good but not great. Buffalo filet was a bit overcooked and really not that tender for $48. I would give it another try. Excellent service and food. Marcos was very professional and his attentiveness to our needs was exceptional. We were not seated until 45 minutes after our reservation time. They over booked their reservations. Twice the hostess lied to us about the status of our table. One of the filets was full of grissel and not edible. The waiter simply said that that happens sometimes in a cut of beef and that we should accept that as normal. The manager finally came over and simply apologized. He did not offer to comp the steak until we told him later how disappointed we were. 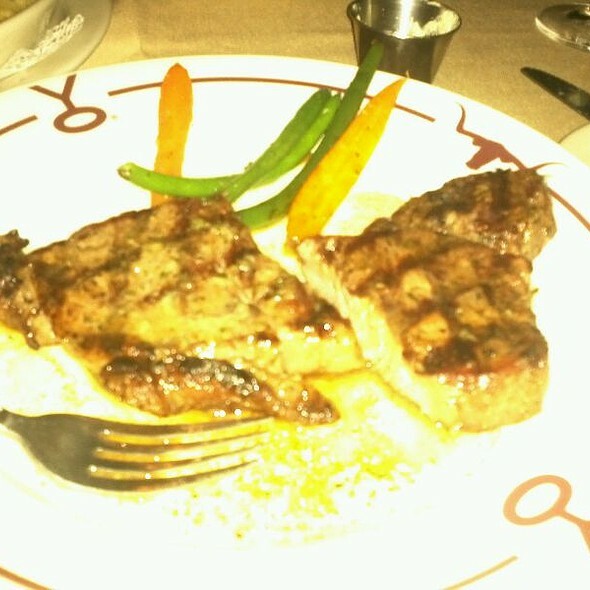 Our steak was world class delicious and service impeccable! Arrived early and was able to be seated early. Olivia made great recommendations for appetizer and special. Everything was delicious and the wine paired perfectly. Y.O. Ranch Steakhouse never disappoints. The food is fantastic and the service is excellent. Anytime we’re in the Dallas area, we make it a point to have dinner there. Fantastic service, amazing wild game. Best elk and quail I ever had and good gluten free dessert options too. Marcos took very good care of me and my clients! We went to YO Steakhouse as a family and had need of a wheelchair accessible table. They were very accommodating. Our meals were fantastic and cooked perfectly. 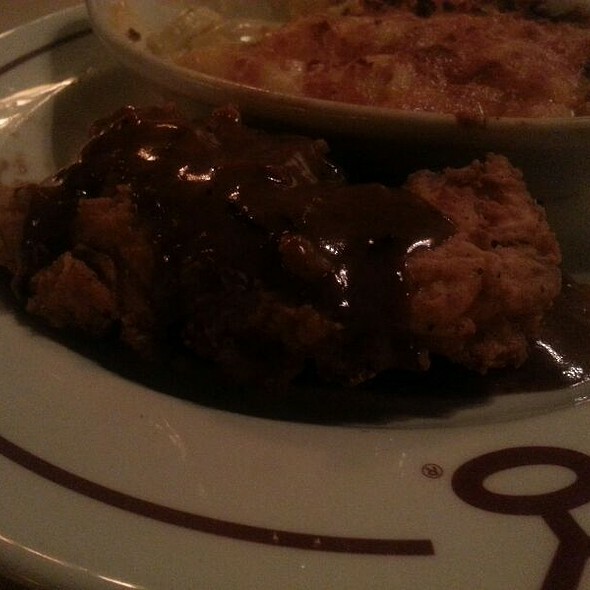 Their Gouda MacNCheese is fantastic and the chicken fried quail with mushrooms is delicious. 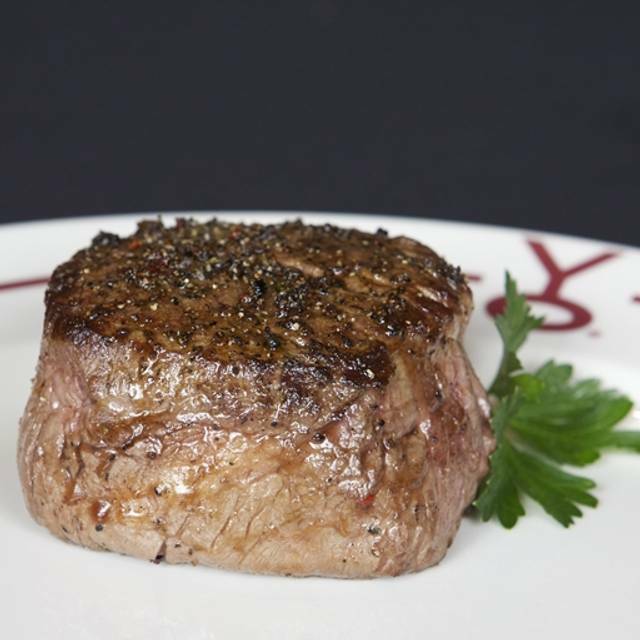 The bison filet is always cooked perfectly and so juicy and flavorful. Thanks for making our experience amazing and worthwhile. Last minute reservation was handled without incident. Great food, Great service and Great value. Our server made sure that we were informed about the company, their values and their history. Just a Great time! We had a great meal with great service! Very happy! This steak was amazing. Actually every bit of the food was off the charts. I had the buffalo filet and it was SUPER flavorful and very tender as a filet should be. It was cooked perfectly. I had a side of mashed potatoes that were also very good but I couldn't finish all of them because, let's face it, I was there for the steak. The staff was super attentive and helpful. Overall, a great experience and I will return when I am in Dallas again. Food was great but I didn’t like that we had to order the side dishes. It didn’t come with the meal. Also the noise level was very loud to where I couldn’t hear my date sometimes. Other than that our waiter was awesome and the food was delicious! Next time we know to order bigger steaks. Overall the food was good - the side items did come out cold and we were finished with the main portion of our meal prior to them coming back but the manager did remove that from our bill. My husband ordered the Buffalo which to me was not very good for the price. My steak was a bit overdone but still very tasty. Food was really good, price point was rather high as compared to other restaurants in the Dallas area. The food was amazing. Took my wife here for lunch on a date day. She loved it!